TGI Friday’s is an American restaurant chain dedicated to providing the best casual dining experience. They offer great food and quality service not just to locals but to international guests as well. The company was founded on March 15, 1965, by Daniel R. Scoggin and Alan Stillman in New York City, NY. The company is currently headquartered in Dallas, TX, and is owned by Sentinel Capital Partners and TriArtisan Capital Partners. 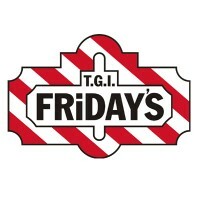 TGI Friday’s has more than 10,000 employees and almost 1,000 restaurants all over the world. They have branches in the US, Asia, Europe, New Zealand, and Australia. All TGI Friday’s employees receive most work benefits right away after getting hired. They get 401(k) retirement plans, tuition refund, healthcare benefits, discounts on meals, and many more. Other benefits are granted to them after six months. Most employees enjoy the company’s culture and the work setting. They recommend this company because of the salary, benefits, and discount privileges it gives to all hardworking employees. How old do you have to be to work at TGI Friday’s? Applicants must be at least 16 years old to qualify for any entry-level position. Likewise, they should have completed high school and possess related work experience. Servers: Servers prepare the restaurant tables while giving special attention to order and cleanliness. They welcome the guests while presenting the menu. Servers may help customers (especially those visiting for the first time) in choosing their food and drinks. Servers will take and serve all customer orders. Prep Cook: A prep cook stays in the kitchen with the chef. Cooking is not his specialty, but he’s the one who prepares the ingredients. His job is more on food preparation which includes washing, peeling, and cutting vegetables and fruits. A prep cook takes care of the leftovers, used cooking equipment, and litter as well. Hosts: This position requires confidence and excellent customer service skills. Hosts often interact with guests, particularly those arriving or leaving the restaurant. They guide people to vacant tables. Hosts also provide information on possible waiting times. In addition, hosts are expected to help in cleaning up the restaurant. Dishwashers: Dishwashers are full-time kitchen personnel, so their job doesn’t involve customer interaction. As to be expected, they mainly wash the dishes (whether by hand or by using a machine). Dishwashers observe proper handling and washing of all kitchen and eating utensils. They always comply with company’s strict rules for sanitation and food safety. Bussers: Bussers clean and organize the tables. Their main role is to set the tables and chairs after every use. They also collect the used plates, spoons, forks, knives, and glasses and bring them all to the kitchen. The bussers’ job ends with restocking the napkin and utensils trays. Bartenders: Bartenders introduce the restaurant’s everyday specials for drinks. They let guests check the menu for drinks, which may include wines and cocktails. Bartenders will take and prepare the orders as fast as they can. They make sure that no alcoholic drinks are served to minors. Kitchen Managers: Kitchen managers oversee the kitchen in general. Other kitchen staff like cooks, prep cooks, and dishwashers work under their supervision. They instruct all kitchen employees to follow the policies and standards for food safety and sanitation. Likewise, kitchen managers train new employees and monitor their performance. Grill Cook: A grill cook takes grilled food orders relayed by waiters. He grills food according to guests’ specifications while still following the given recipes. Also, he regulates the temperature of grills, roasters, and broilers. His job includes washing, peeling, and cutting of vegetables, fruits, and meats before preparing all ingredients for cooking. General Managers: General managers are mainly tasked to supervise local managers and their entire teams. They strictly implement the restaurant’s policies and operations while making and sustaining budgets. The general managers are working closely with the management when evaluating employee performance and efficiency. Restaurant Managers: Restaurant managers handle different managerial tasks which require extensive training and experience. Their everyday job includes serving the customers and helping them if they have complaints or concerns. In addition, their administrative tasks include employee assessment, licensing, payroll processing, and supply ordering. People who want to apply for any position should first check the company’s website. Creating a profile is necessary when applying for any entry-level or managerial positions. Applying in person for all entry-level positions is also allowed. The company accepts walk-in and online applicants. However, candidates who apply online are mostly prioritized when there are job openings. Interested applicants should start by filling out the provided application form. Applicants must fill out the application form correctly. Entries should be accurate and clear. Also, they should avoid leaving any blanks in the form as it may reduce their chances of getting hired. Candidates should submit the form and their resume together. So, applicants shouldn’t forget checking and updating their resume, especially if they have a new telephone number or email address. Job seekers will be notified if they have passed the initial screening. Applicants should take note that wearing decent clothes and coming early for the interview are important. Showing confidence and professionalism will also increase their chances of getting hired. The company remains unique and strong. Employees are introduced to a fun work setting where they live each day like it’s Friday. The company’s culture is based on their values and creed. TGI Friday’s now offers customizable gift cards. These cards are available in different designs and values. So, customers can pick any value from $10, $25, and $50. They can also check their balance anytime. This restaurant chain is known for providing delectable dishes for dine-in and take-out. Their menu is complete with appetizers, burgers, sandwiches, pasta, seafood, chicken, and many more. They also have food for kids. This American restaurant chain helps preserve the environment. They practice environmental stewardship, so they collaborate with UN Global Impact Initiatives. They support different programs for reducing energy consumption and waste. 1 How old do you have to be to work at TGI Friday’s?